Very Good. Sunrise Lands: A Novel of the Change by Stirling, S M. Mass market (rack) paperback. Glued binding. 512 p. Contains: Maps. Novel of the Change, 4. Good. 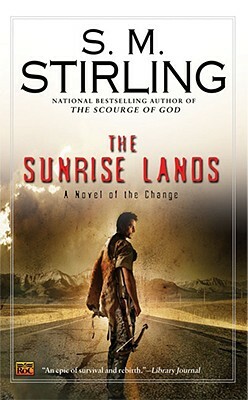 Sunrise Lands: A Novel of the Change by Stirling, S M, 2008-08-01. Mass market (rack) paperback. Glued binding. 512 p. Contains: Maps. Novel of the Change, 4. Very Good. The Sunrise Lands by Stirling, S, 2007-09-04. Sewn binding. Paper over boards. With dust jacket. Good. The Sunrise Lands by Stirling, S. Sewn binding. Paper over boards. With dust jacket. This series was alot of fun, even while it got me thinking about how lucky I am to have everything I've got. I know I wouldn't want to have to live like they do in this story! The characters are real and you get attached to them. You can empathize with their pain and their joy! I'm starting the next series now and it's just as good!